A loving grandfather won the hearts of several netizens after he framed his granddaughter's present to him. What was it? Money from her granddaughter's first paycheck. 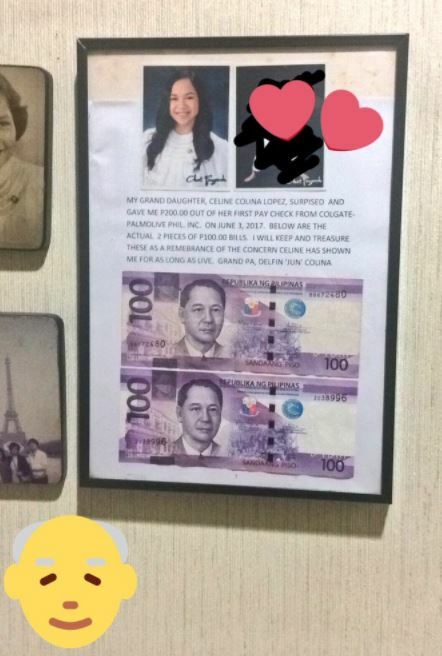 Her grandchild, Celine Lopez, posted a photo of her grandpa’s framed money with her photo and a thoughtful message wherein he told why he framed the bills. 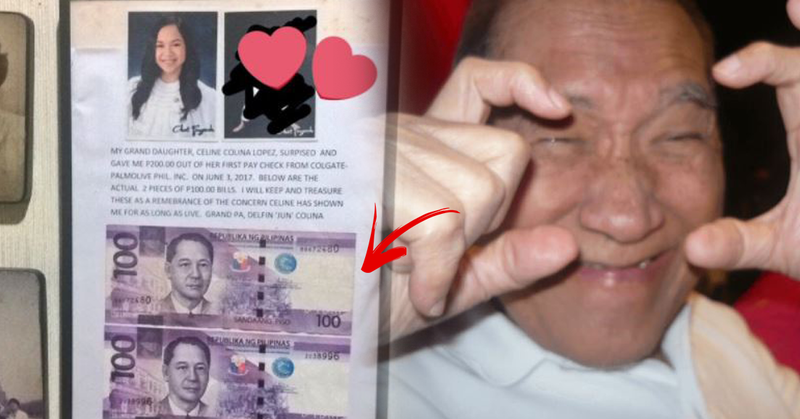 According to Celine, she gave her grandpa P200 from her first paycheck that she received from her internship at Colgate-Palmolive Philippines Inc. Though she didn’t imagine it was big enough, she was astonished to see that her grandpa thanked her for the gift so much. Her grandfather joyfully showed her frame when she visited her grandparent’s house. Celine also experienced that in the past, her parents were striving to financially help their family. In spite of this, her grandparents gave them with a warm and comfortable home. Moreover, even though her parents now had their own house, her grandparents still gave help when they needed it. “They continuously gave and gave unconditionally and without asking for anything in return,” Celine said. Celine’s post went viral as it was really so heartwarming. 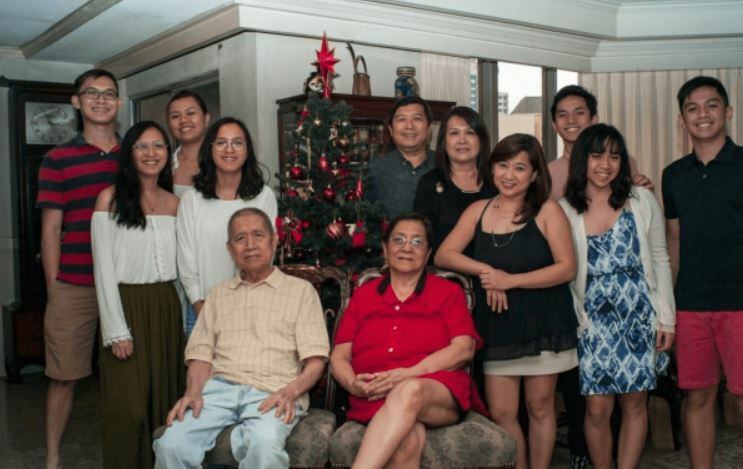 In an interview with a local blog news site, she shared the netizens’ reactions also came as a shock to her but her Lolo’s response was all she needed. So sweet! 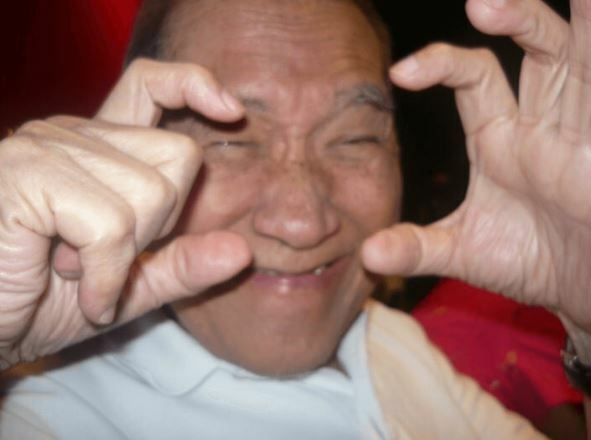 Do you have or do you know any grandparents who are as sweet as this Lolo? Share their stories with us in the comments field below!